Hepatitis B virus (HBV) reactivation is commonly observed in HBsAg-positive hematologic patients undergoing immunosuppressive chemotherapy. Recent guidelines recommend antiviral prophylaxis to be continued for up to 12 months after the discontinuation of the anticancer regimen. We report a case of a patient who underwent antiviral prophylaxis for 26 months after the discontinuation of a rituximab-containing chemotherapy regimen for a lymphoma and was admitted in the infectious diseases department with a 3-day history of jaundice, itching, and dark urine. After excluding other possible causes of acute liver damage, HBV reactivation was suspected. HBV-DNA was 4497000 IU/mL. 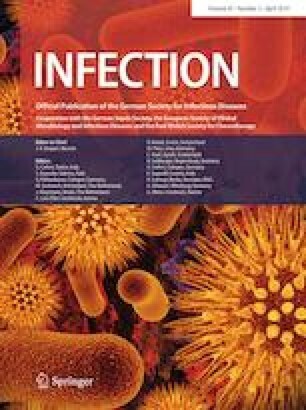 Following reintroduction of entecavir, we observed a steady decline of ALT, AST, bilirubin and HBV-DNA serum levels, with a rapid resolution of acute hepatitis and an improvement in clinical conditions; one year after the event of HBV reactivation and beginning of antiviral therapy, the patient was virologically suppressed. Our study demonstrates that the risk of HBV reactivation in HBsAg-positive patients with undetectable HBV-DNA can occur even after three years from the last administration of rituximab and several months after the withdrawal of prophylactic antiviral therapy in patients with hematological malignancies. This implies that a close monitoring of HBV-related markers including HBV-DNA must continue after the withdrawal of prophylactic NA therapy. This manuscript was not funded.